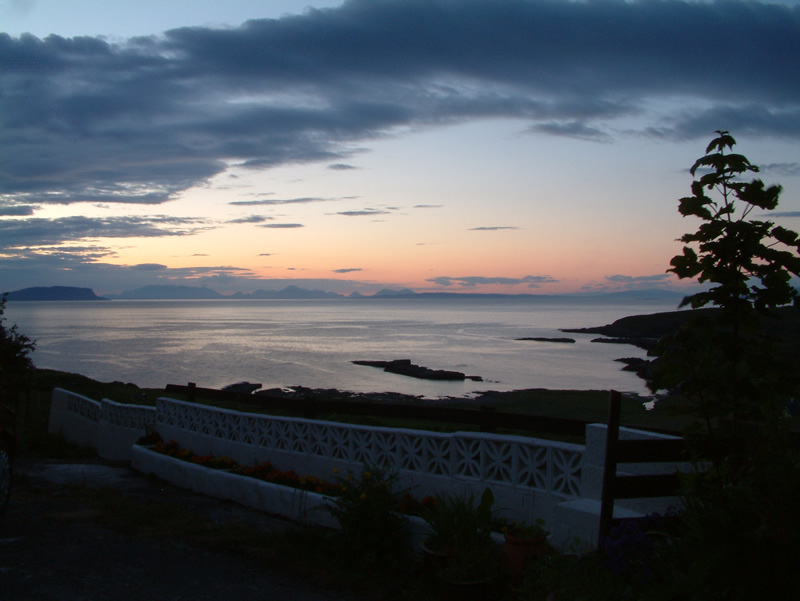 Air an Oir offers adults a unique opportunity to unwind, relax and enjoy the peace and tranquillity of Ardnamurchan in one of its most beautiful locations overlooking Swordle Bay. 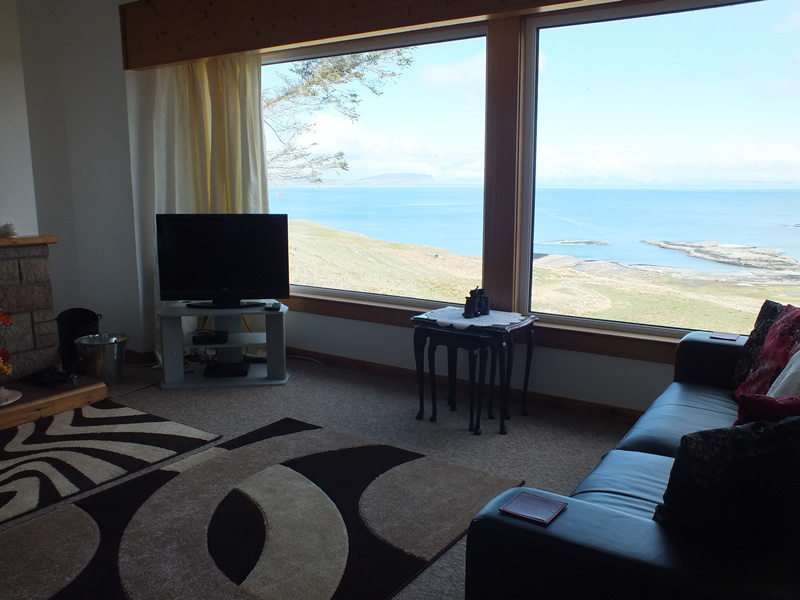 Situated on the North Coast of Ardnamurchan Peninsula, Argyll - with spectacular views towards the inner Isles of Eigg, Muck, Rhum and Skye. 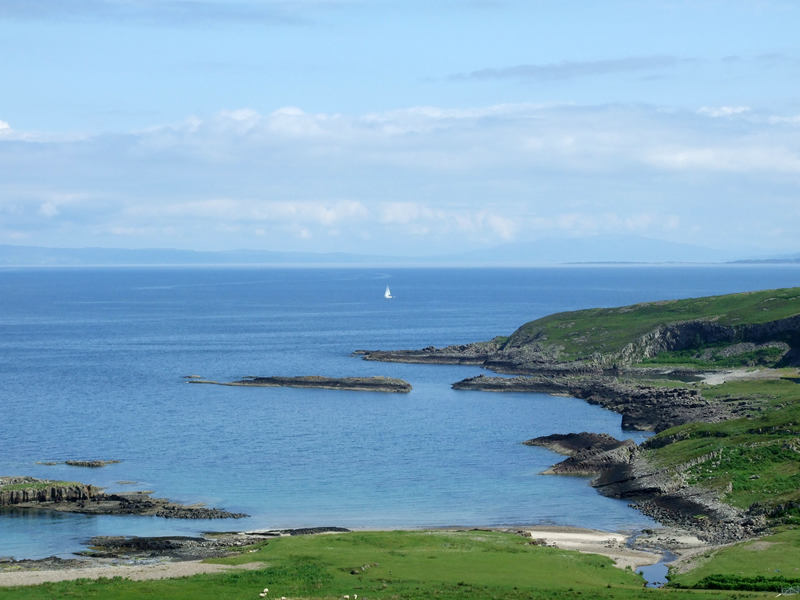 Air an Oir also offers the visitor the opportunity to discover Ardnamurchan: a paradise for wildlife enthusiasts, bird watchers, hill walkers, beachcombers and those who just want to "get away from it all". 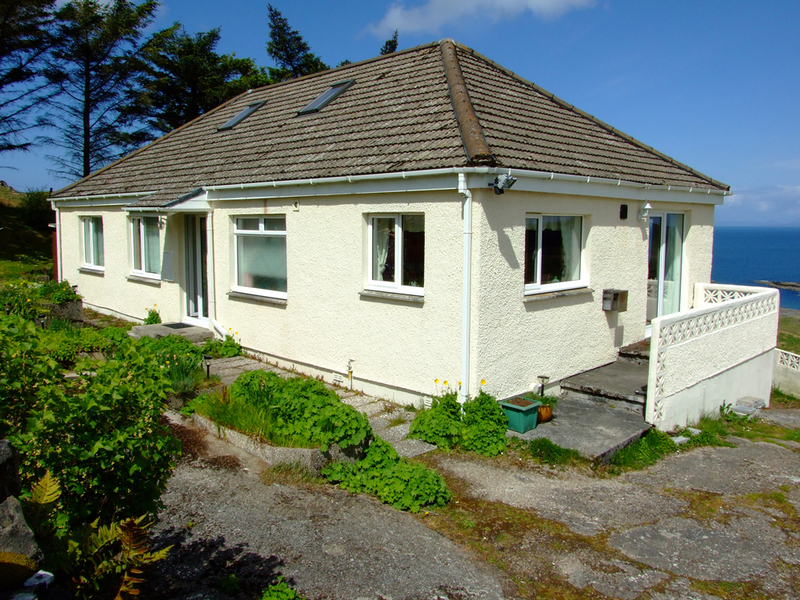 Prices are from £500 - £700 per week, inclusive of electricity, heating and logs for the open fire. Discounts are available if there are only 2 adults staying, or you take two weeks together. 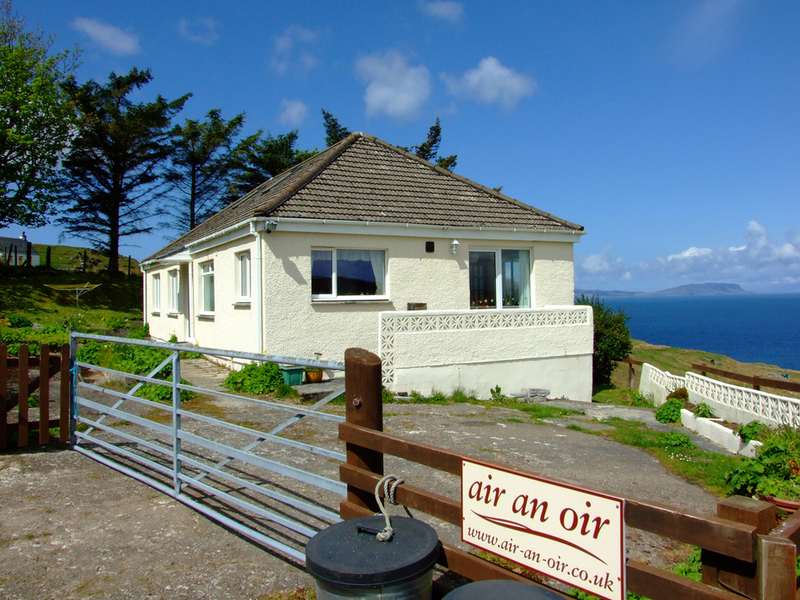 Air an Oir is a comfortable modern house offering self catering facilities for a memorable holiday. We all enjoyed our week at Air an Oir. When we walked in on arrival, we ran about like 60 year old kids and hugged each other because the cottage was so much more more spacious and well appointed than we had dared to hope. Arriving to a tea tray, cake, and an open fire was lovely. We went on fantastic walks every day, and I spotted about 40 species of birds--and a pine marten. 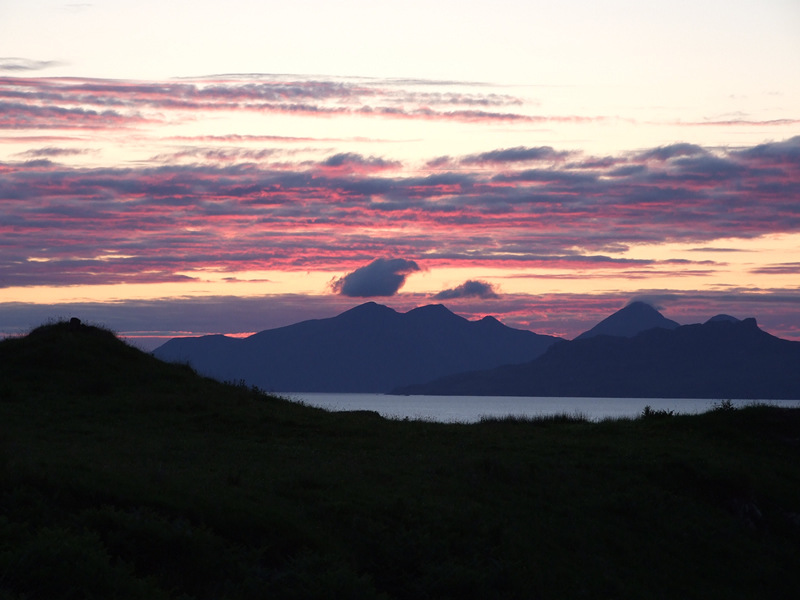 Ardnamurchan was a real surprise. Despite all my reading, it was much more remote and un-commercialized than I had anticipated. Just a few words to say how much we enjoyed our holiday at Air an Oir. 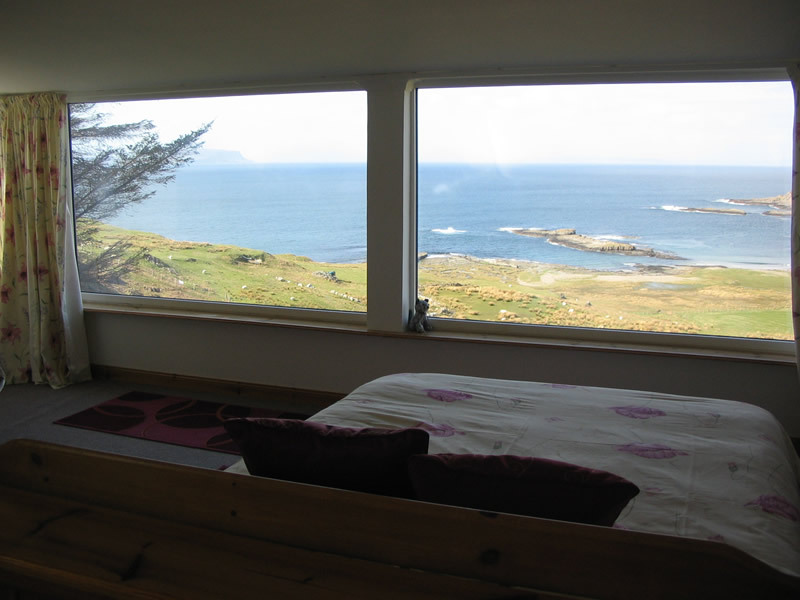 The house was wonderful - warm, welcoming, equipped with everything we could possibly need, and of course the views from it are quite magical. We were blessed with the most amazing weather too and great wildlife sightings, so quite simply we enjoyed every moment of our holiday time. My husband and I spent a week at Air an Oir. The house was lovely, the kitchen was well-equipped and our bed was comfortable. The views from the house were even better than the pictures on the website, as there were mountains to the northeast that were stunning. We took great walks and enjoyed the solitude. There was a small herd of cows that wandered down the road by the house from time to time and we called them "our girls". We had a wonderful time at Air an Oir and will remember our week there with great fondness.